IELTS Energy 267: 3 Rules for Higher IELTS Speaking Vocabulary Scores + a Request for Reviews! 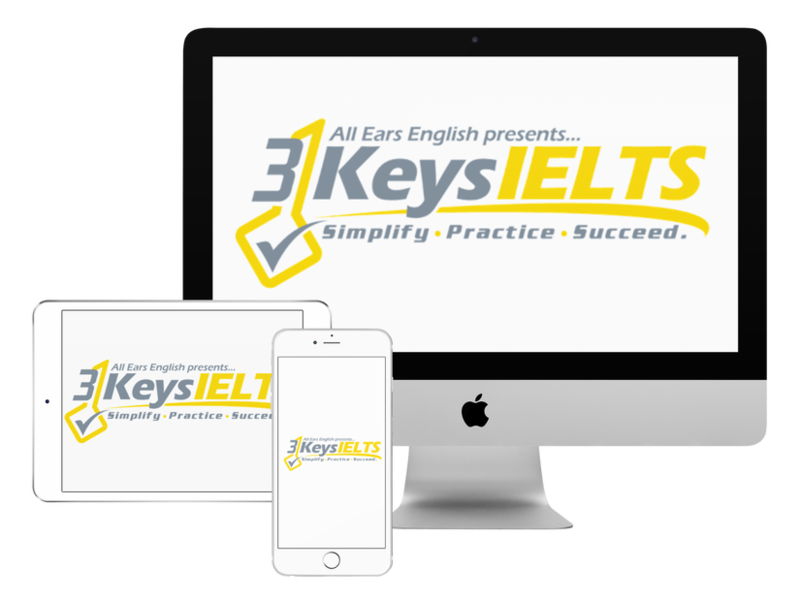 Today get 3 rules for higher IELTS Speaking vocabulary scores! We’ll read a listener question about what to do when you forget a word on the speaking test. Find out how to handle this today. If you follow this advice you’ll push your scores higher and you’ll be able to move past IELTS to achieve your life vision. Remember that it’s normal to forget a word. Native speakers do it too! Do not give up if it happens. Never stop trying during the speaking test even if you made a mistake in one of the early parts of the test. Go to Episode 124 and learn more about what to do if your mind goes blank. We give you native and natural high-scoring phrases that you can use when you forget a word. You must be able to use these! If you use them you can turn a weakness into a strength. Remember that you are graded on a range of vocabulary but it’s not just the academic words that you need to use. You need a mix of academic and casual vocabulary. Start collecting vocabulary words. Write down one for each category. Practice them. Be flexible with them and know when to use them. Also you must be able to paraphrase. Don’t use the same word over and over again. Nervous and robotic “student” pronunciation will lower your score. Even if you are using great idioms and slang the examiner might not be able to understand you. You will automatically be put at a 6 if the examiner hears that kind of robotic pronunciation. Don’t just focus on building vocabulary for your exam. Check out our other articles on IELTS Speaking pronunciation. Have you ever forgotten a word during the speaking test?